With the whole of Northumberland right on your doorstep, Lucker Hall is a fantastic place from which to discover the county's enviable landscapes. And with so much to see, it is sometimes difficult to know where to begin. 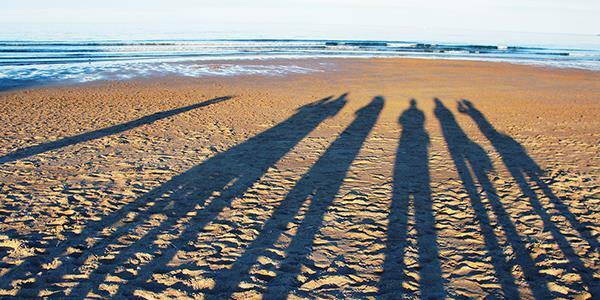 On site you will find a weekly photography evening with Andy Craig, which might just provide the inspiration you need. Andy Craig has been a professional photographer for more than 10 years. He's very passionate about the area and he presents photography and music evenings at Lucker on Thursdays called 'My Northumberland: A Journey in Music, Photography and Song'. It is exclusive to the guests of Lucker Hall and acts as a wonderful introduction to the stunning surroundings. The main aim is to inspire everyone, but especially to show those who might not have visited before just what's out there. 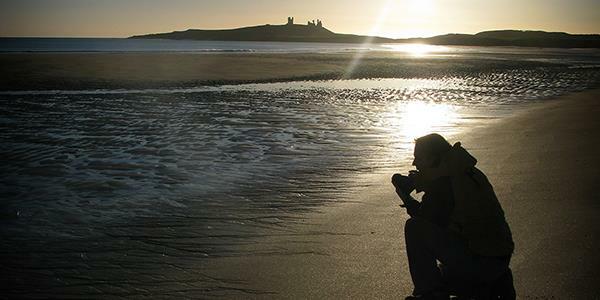 Andy's stunning photography of Northumberland demonstrates exactly what it is that makes the incredible coastline so special, and why he loves it so much. With beautiful photography and the accompaniment of music, 'My Northumberland' is a relaxing evening, great for those who just want to enjoy a peaceful night in. 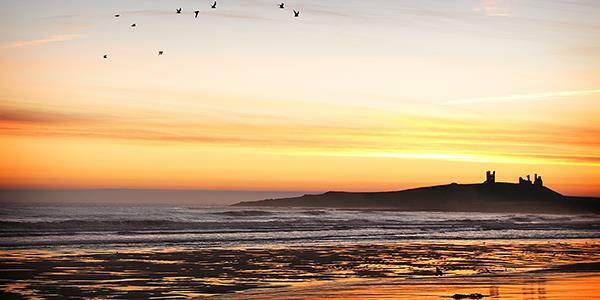 But if the evening inspires you to get out there and discover the coastline for yourself then Andy also provides a programme of walks called Hidden Northumberland exclusively for Lucker Hall guests. ‘Prehistoric Landscapes’ and ‘Coastal History’ are both a part of Andy’s Hidden Northumberland tour programme and they provide a delightful insight into how the iconic Northumberland landscape around Lucker Hall has been formed over the years. Both walks are roughly an hour and a half, departing from Lucker Hall, and will finish up with a visit to a nice pub at the end. The first walk is about the archaeology of the people who used to live on the moors and the prehistoric rock art that can be found in these parts. While the latter focusses more on the beach and coastline, and the histories of those who have called it home over the years. The walks take place on Tuesdays and Fridays respectively, there is a small charge per person and you will be walking around 3-4 miles. It’s a real treat to be able to discover this landscape with a guide who is so passionate about it. If this wasn’t enough Andy’s business, Northumberland Photo Training, provides a set of courses that take groups on PhotoWalks and PhotoTrails. These guided walks are open to the public but can also be a brilliant follow-up to the photography evening based at Lucker Hall, and they give you the opportunity to learn as you explore. Andy will teach you some photography techniques at some of his favourite locations along the coast. He’s great at tailoring his sessions to each group's needs, the walking tours can range from learning the basics, to quite technical classes. He provides one-on-one tuition as well as small or large group tuition. You can take a look at the course information or book a place on one of them from his website. Alternatively, you can find out all about the photography and music evenings at Lucker hall, as well as the exclusive Hidden Northumberland walks from reception, while you’re on site. Find out how to stay at Lucker Hall, where you can attend one of Andy Craig's events, by entering your details at the bottom of the page to receive a free brochure. A big thanks to Andy Craig for the use of his lovely images. You can take a look at more of his photography on his website.